There are many things in Finland which are part of our identity and some of them are no-brainers for us. For me the most important Finnish thing is cottage life. Finnish people love nature and being close to the lake or sea. Finnish cottage life is unique because there are not many countries where people have a cottage besides their house. Almost all of my friends’ families have a summer cottage and some of them have two summer cottages. 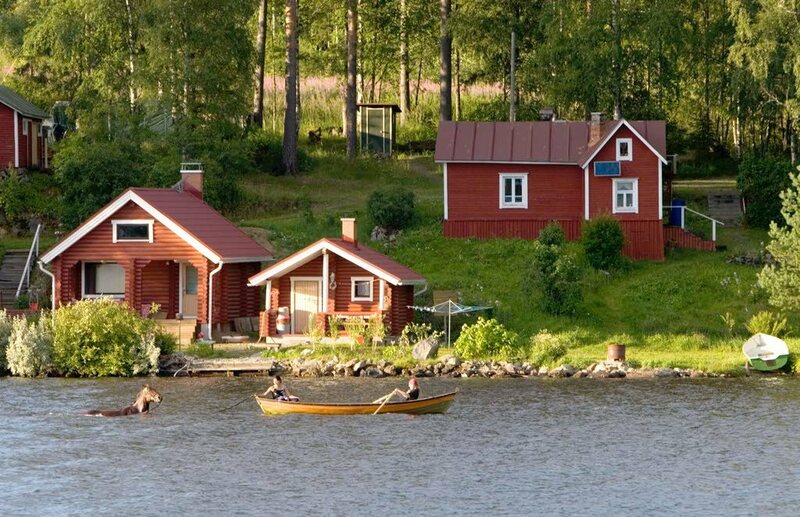 In Finland you can also rent cottages if you don’t have your own. I think that Finnish people love the peace and nature sounds in cottages. And of course they can enjoy about Finnish nature and go into the sauna and swim in the lakes. In my opinion, Finnish food is different when compared to other countries. For example, salty liquorice, Karelian pastry and rye bread are foods which almost every Finn are used to eat since they were kids. I love rye bread and I know that I will miss that the most. We can also pick up some berries from the nature, for example, blueberries and raspberries and put them to the freezer. That is how we can have vitamins during the year. Of course we also have some traditional foods, for example, lamb and “mämmi” which are connected to Easter. Like for all countries sport is really important part of the identity of Finland. The Finns really love to watch sport but also do it. It is common to have some sport hobby as a child and that may last many years. Usual sports in Finland are ice hockey, soccer and Finnish baseball for example. Watching sports get people closer to each other and during the world cup of ice hockey people are really communal. They are gathering together to someone’s house or to a pub and supporting Finland’s team to win.